Wow she is wild! She looks like got got into some orange paint. Calico right? LOL When I first seen her, I only seen her head peeking out of a bush and went..awwwww! a torti! Then I caught her and seen all the white. She was a fun little thing. I think I'd call her a torti. I think I'd call her a torti. 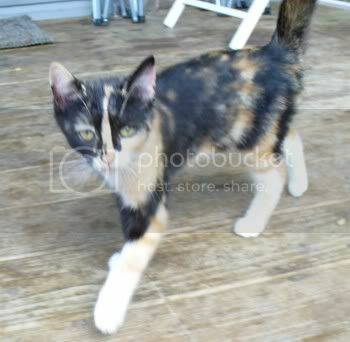 If she had a bit more body white I'd call her a calico. 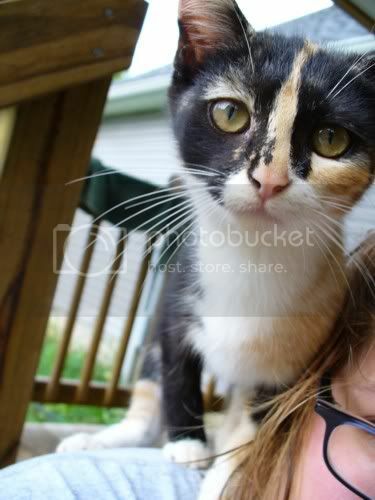 I've had people tell me yes, torti, and yes, calico....she's a confusing one, that's for sure :) But oh so pretty. I would love to find another like her. 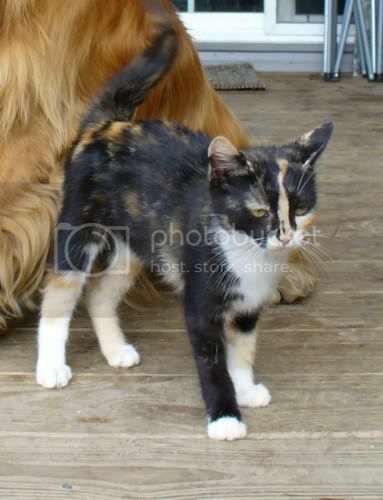 The only difference in Torti and Calico is the amount of white so it can be pretty subjective.